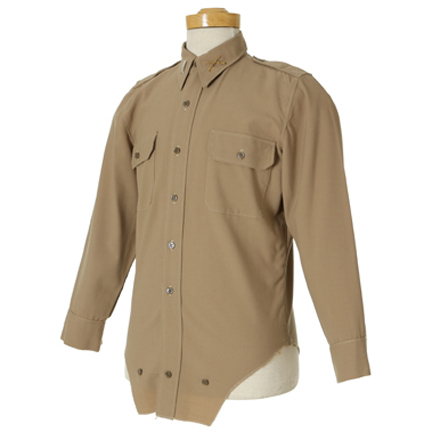 This khaki military shirt was worn by the character “Lt. 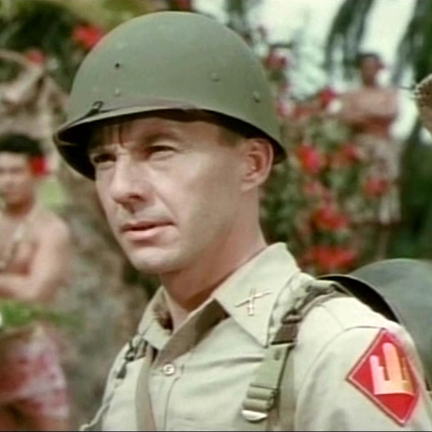 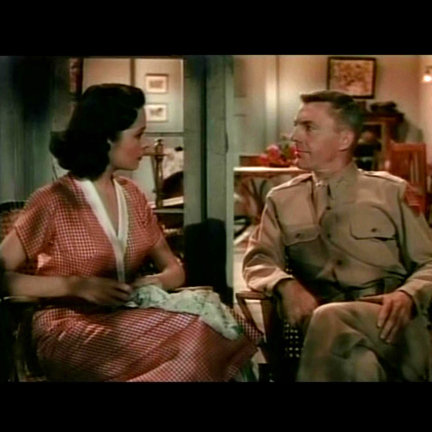 Carl G. Schmidt” portrayed by actor David Wayne in the 1953 motion picture “Down Among The Shelering Palms,” starring William Lundigan and Jane Gaynor. 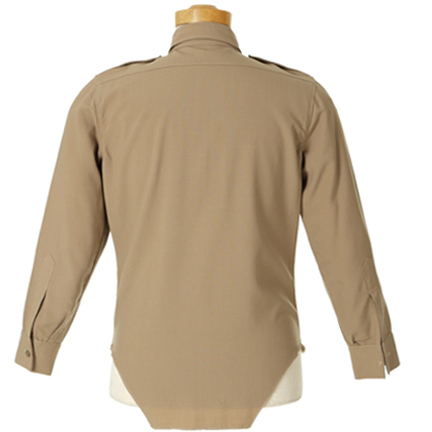 Long sleeve khaki military shirt with two flap pockets, epaulets and brown buttons. 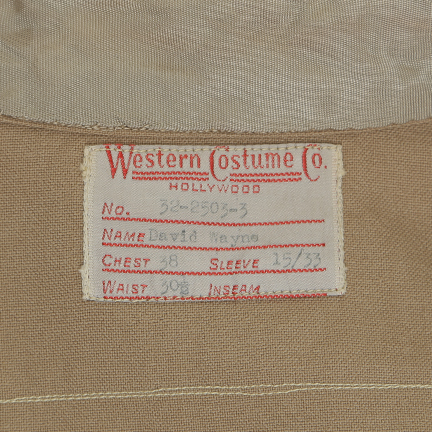 Internal Western Costume Co label sewn in with “32-2503-3, David Wayne, Chest 38, Sleeve 15/33” clearly typed, and 20th Century Fox label with “Prod. 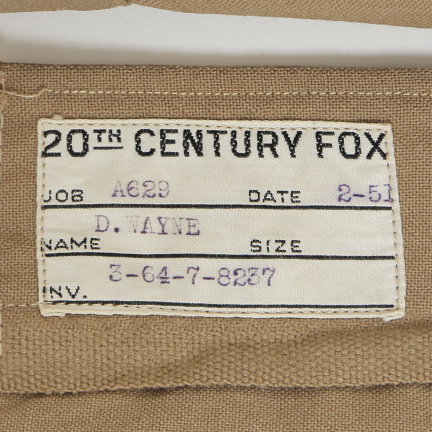 A629., Date 2-51, David Wayne, 3-64-7-8237” typed in black ink. 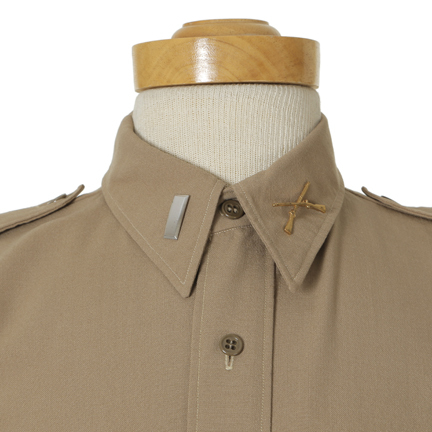 Lapel Insignia has been added for display purposes. 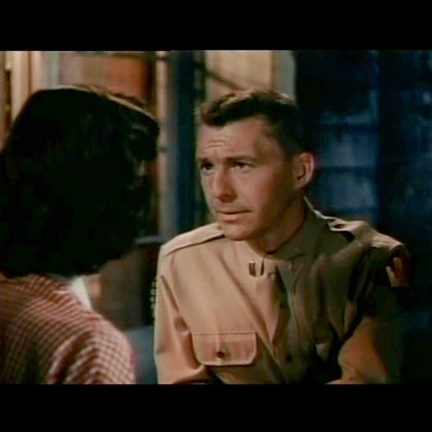 Mr. Wayne wears this shirt when he visits with “Diana” (Jane Greer) at her home and tries to coax her into coming back to work. 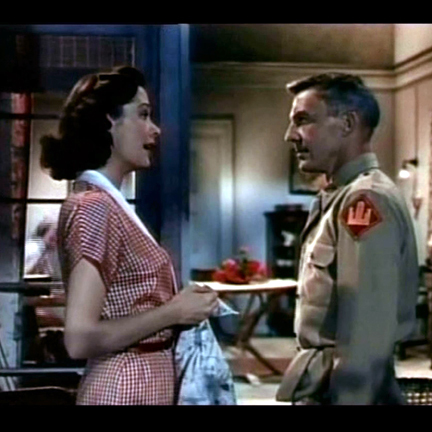 “Down Among the Sheltering Palms” is a musical comedy set after World War II, Captain Willoby and his men must occupy a remote island and Willoby has forbidden his men from fraternizing with the island’s woman. 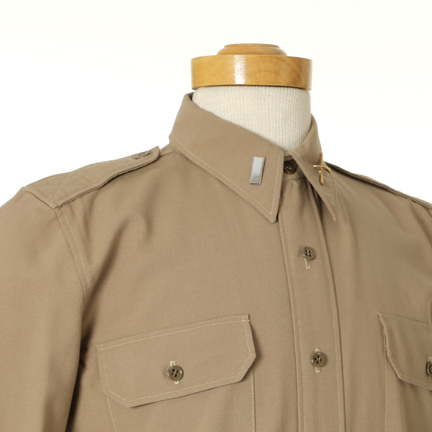 This garment is in excellent condition and is accompanied with a letter of authenticity from the costume house. 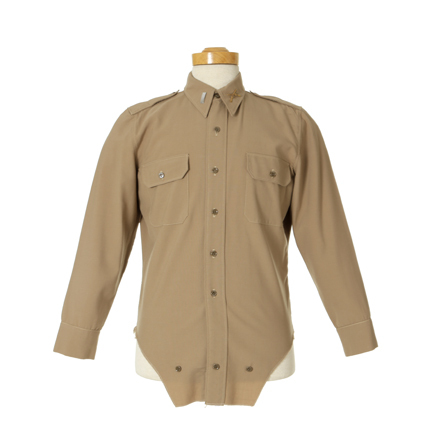 Present by The Golden Closet, your premiere source for iconic screen used wardrobe, props and entertainment memorabilia.